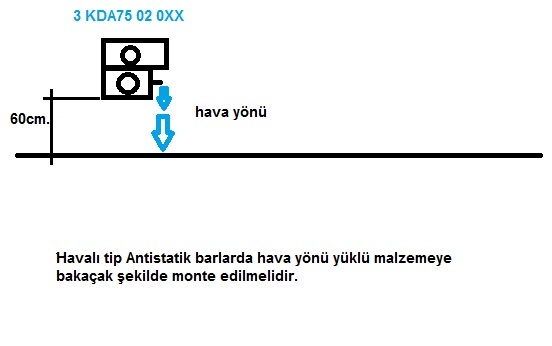 Antistatic Bar with Compressed Air Apparatus, thanks to its air apparatus, is designed to neutralize static charges during production at longer distances. By means of its technology is is offering more effective solutions at high speed applications. As well as, it is providing effective ionization by its high performance and quick elimination time. Antistatic bars, ionizes the air into positive and negative ions. Ionized air molecules are carried by the pressurized air to longer distances. At film winding, antistatic application should be effected as given in the attachment, the inner and outer surface of the web will be static eliminated in the same time.Any product within the effective distance of the bar will attract oppositely charged ions and accordingly neutralize the material. In the meantime problems such as electrical shockings, explosions, risk of fire and collection of dust will be prevented. 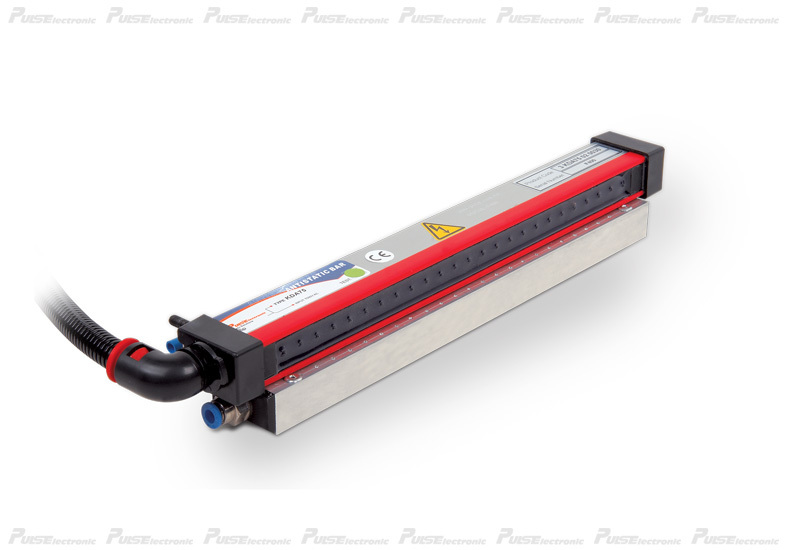 Thanks to antistatic bars that do not require calibration, easy to clean and maintain, machines can continue production for many years with high performance, high quality, reliable and hygienic. Easy to Assemble/ High PErformance / Safe/ Long Life / Quick Neutralization.